Kayaking is an activity that is truly for everyone! Regardless if you are a beginner or experienced paddler, you will be comfortable and safe in our kayaks, which are reliable and easy to handle. 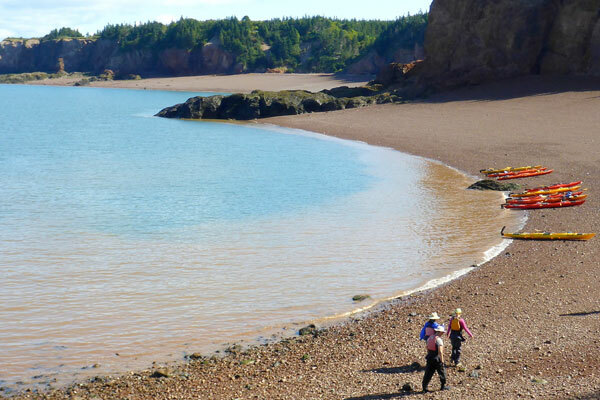 Our location on the Bay of Fundy is stunning and while the waters are not always the easiest ones to paddle, it is greatly rewarding. You will receive basic instruction in paddling techniques and use of the equipment before you start out. You will be surprised how quick you get the hang of it! Our guides are highly trained according to the safety standards of the kayaking industry. For a minimum requirement, they hold a Wilderness First Aid certificate and an advanced skills certificate by Paddle Canada, the Sea Kayak Guides Alliance of British Columbia, the British Canoe Union or similar. We will supply you with all the necessary safety and paddling gear. Our quality touring kayaks are modern, stable and easy to handle. Each tour will be tailored to the skills of our guests and adjusted to whatever the wind and waves permit. To enhance safety, we only go out in small groups. However, clients participate at their own risk and must sign a waiver for personal responsibility. You are wearing a life jacket at all times on the water. All tours start with basic instruction in paddling and safety. 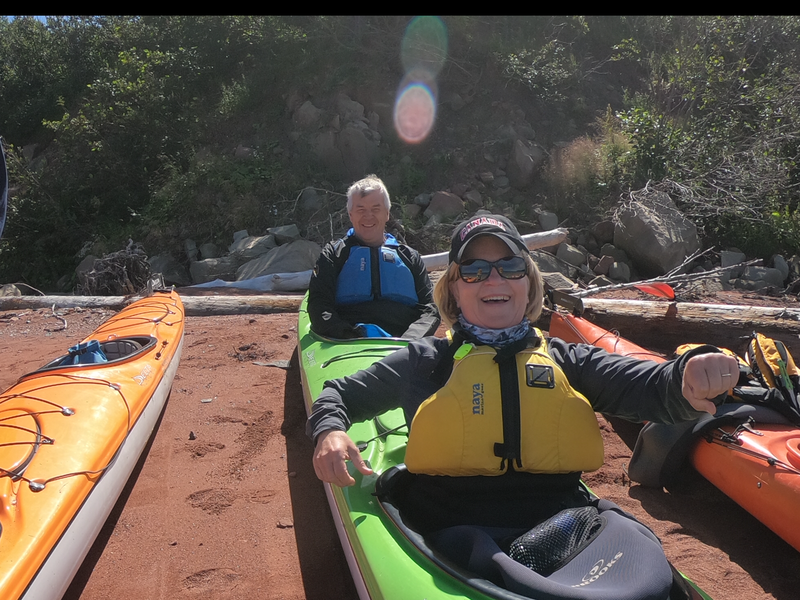 If you want to expand on that and learn more advanced kayaking skills or obtain a Paddle Canada certification, we also offer that option through our partnering instructor Glenn Coltman on the South Shore in East Dover. All clients taking a NovaShores tour are required to agree to and sign a personal liability waiver.  Guests up to 19 must have a parent or a guardian sign the waiver. Children up to 16 must also have a parent accompany them on the tour. We do not practice wet exits, and you will not have to wear a neoprene wetsuit. In the very rare event of a capsize, our highly trained and experienced guides will perform a swift rescue to get you back into your kayak or onto shore.In double kayaks, a capsize is extremely unlikely to ever happen, and if so, all that happens is that you get wet. We do carry a spare clothes bag, and also strongly recommend that you wear quick-drying materials only. What a wonderful day. Thanks so much. The rescue was great!